Vault Comics announced the acquisition of INTERCEPTOR, the best-selling sci-fi comic book series by the superstar creative team of writer Donny Cates (Cosmic Ghost Rider, God Country, Thanos Wins), and artist Dylan Burnett (Cosmic Ghost Rider, X-Force, Weavers). 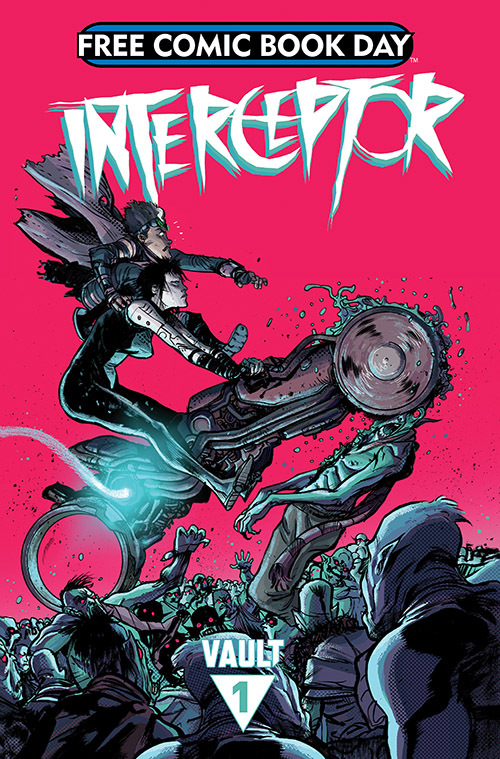 INTERCEPTOR #1 will return to print as as a gold-level Free Comic Book Day selection in May 2019. Following FCBD, in June 2019, the long-awaited collected edition of INTERCEPTOR will be available in trade paperback for the first time. Previously, Vault Comics also published REACTOR, the second volume in a planned trilogy for INTERCEPTOR. REACTOR will also see its completion and release of its collected edition in 2019.